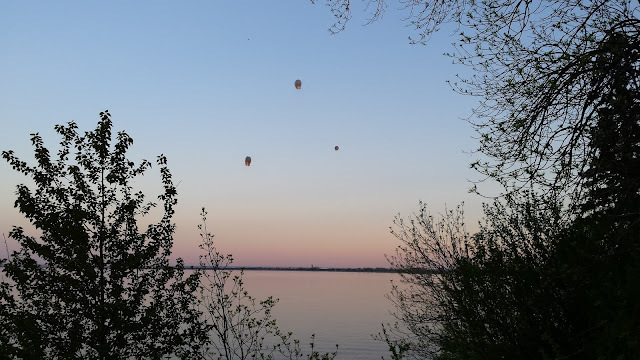 Today I am joining the Five Minute Friday writers. We all write on the same prompt for just five minutes, and then we gather together to share our posts. 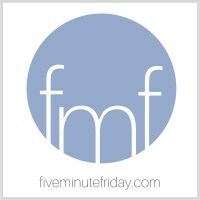 We used to gather at Kate's blog, but Five Minute Friday has a new home! We now meet on the Five Minute Friday website. You are invited to join us there. This week the writing prompt is: BLESSING. God's blessings are abundant in my life. I have been given so much more than I deserve! The blessings go on and on! But if all of those things I just listed were taken away... what then? Would I still be blessed? Yes. Because the most important blessing I have received is the gift of salvation. Though everything earthly be taken away, my salvation can never be taken away. If salvation was all I had, I would have more than I ever, ever deserved. Jesus suffered the wrath of God in my place. His righteousness has been credited to my account. I have been forgiven of my sins. My debt has been paid in full. I have been saved from the eternal punishment I deserve. I have been given an eternity I don't deserve, and could never earn, in Heaven. What are some of the blessings you have in your life? Do you know the blessing of having Jesus as your Savior and your sins forgiven?